I have a fetish for deserts. They call out to me. 🙂 What appears on the surface to be arid, at close quarters reveals a depth and completeness quite contradictory, yet natural. The Rann likewise, I learn over the subsequent four days I spend in the vicinity, is no different. 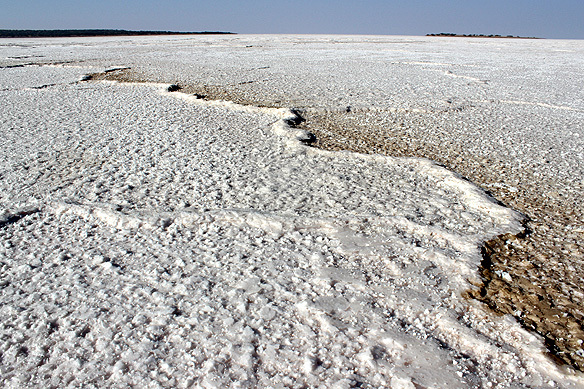 The largest salt desert in the world, the White Desert or Great Rann of Kutch, covers an area of 7,505 square kilometres. 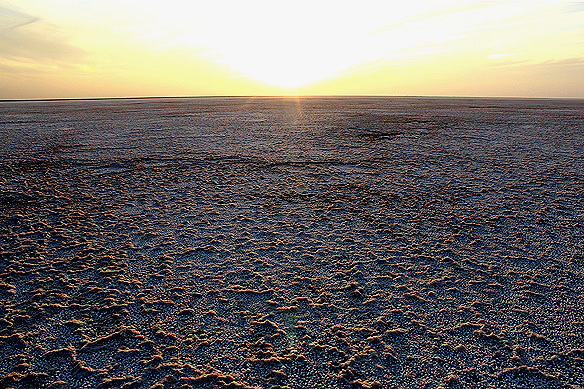 It is a seasonal salt marsh straddling the Thar Desert in India and Sindh Province in Pakistan. The name Rann has its origins in the Sanskrit word Irina and is referred to in the Rigveda and Mahabharata; Alexander the Great travelled through it in 325 BC. 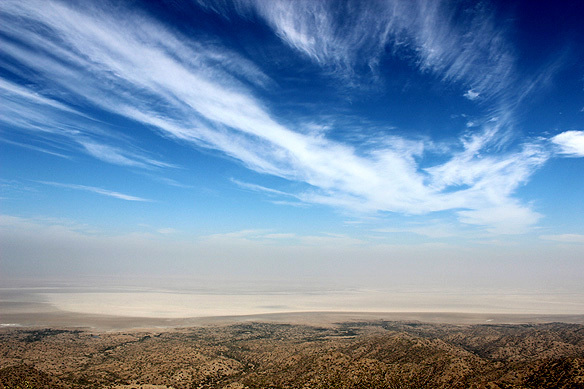 The Great Rann stretches right across the entire northern width of Kutch, a district in the Indian state of Gujarat, and as I explore the region I find myself revisiting it, time and again. Temperatures here are on the extreme, hovering around 44 degrees Celsius in the summers and below freezing in winter nights. Distance and time, on the other hand, are blurred. Both seem to stand still. 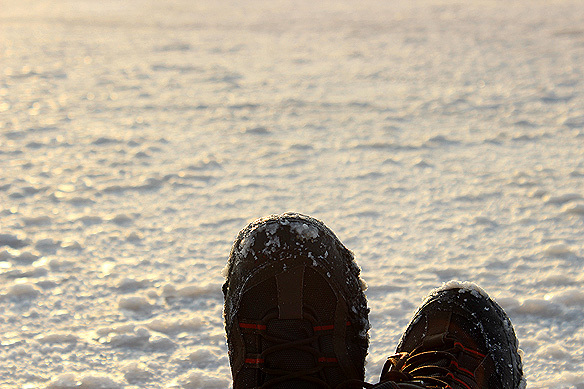 I find myself walking miles, and feeling I have not moved at all. I have to watch where I place my step, it invariably sinks into the marsh and I have to retrace my route. I sit down to realize the salt has seeped through my clothes. I am thirsty. When did salt ever quench one’s thirst! And yet I trudge on as if pulled by a force far greater than myself. Once an arm of the Arabian Sea, the area’s link with the latter was closed off by geological uplifts thousands of years ago. During the Indian monsoon, the low basin fills up with standing water from the many rivers that drain into it. 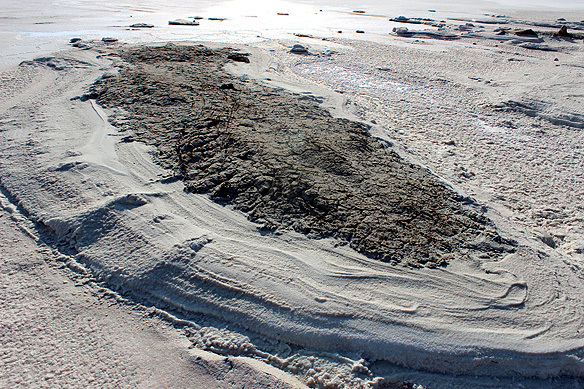 With the advent of winter, the beds dry up, leaving behind salt clay and mud flats, the salt at some places just an inch thick, and at others up to eight inches. The morphication of the Banni Grasslands into the White Desert is uncannily lucid from the vantage point of Kalo Dungar. 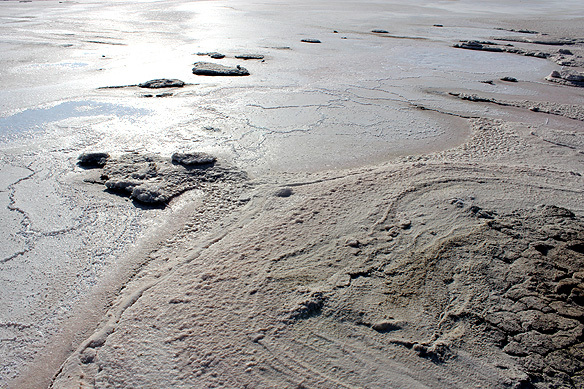 White salt waves, frozen in time, drape the mud pans on my way to the four and a half millennia old site of Dholavira. 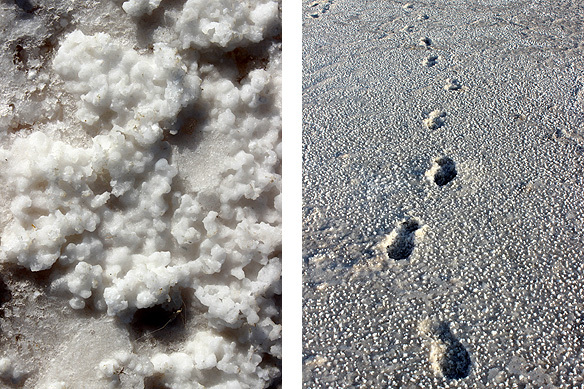 At Dhordo, the white moonscape stretches endlessly to a distant point somewhere in Pakistan. One Rann. Many faces. One feeling. Of being enveloped, and duly humbled by the desert’s immensity and intensity. I now understand what my Kutchi fellow traveller had been trying to tell me. Note: My road trip to Kutch was done with Breakfree Journeys. This entry was posted in Exploring India, Gujarat and tagged Black Hill, Breakfree Journeys, Dhordo, Great Rann of Kutch, Gujarat, Gujarat Tourism, Kalo Dungar, Kutch, Rann Utsav, Salt Marshes, Thar Desert, White Desert by Rama Arya. Bookmark the permalink. Thank you Sreedhar for your kind encouragement. 🙂 I hope you enjoy the upcoming posts on Kutch too. Beautiful photos! 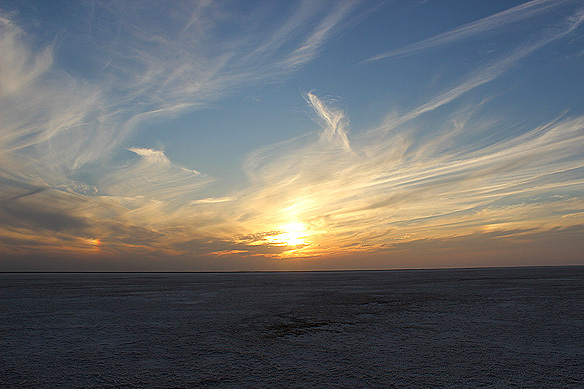 The Rann of Kutch is a wonder of its own. Yup. 🙂 Have you been there ? Would love to read about your travel experiences in Kutch. Glad you liked the blog post theme. And the last line. 🙂 Thank you for your company on the road trip. You, together with the rest of the group, made it extra special. New reader here! I should tell you I was smiling so broadly while reading your description that my mother came and peeped at my screen to see what I was reading. Thank you ! 🙂 Happy you liked it.